Each one of our services aims at covering a different need. When problems occur, we provide repairs. When problems must be prevented, we offer maintenance. And our company is here to install doors, replace openers, and take care of every single need you have. So, give us a call if you want garage door service in Stouffville, Ontario. Stouffville Garage Door Repair is the right choice when you want the job done right the first time. Whether you are in need of routine or urgent services, we come properly equipped and on time. You can always count on our quick response and knowledge. 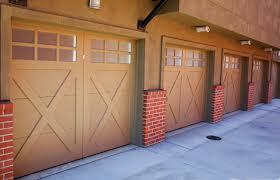 Garage door repair service when problems occur. Got trouble with the springs, tracks, cables, or opener? No matter which part gives you problems, get in touch with us. Our tech will troubleshoot the problem and thus identify every single weakness with the door. Is the spring broken? We replace it. Is the cable off? We put it back. Garage door maintenance and thus lubrication, adjustments, and some repairs. We service all types of doors and are extremely meticulous when we inspect their parts and safety features. We balance the door, adjust the force & travel limit, lubricate, tighten the fasteners, fix problems, and check that the door moves smoothly and safely. When you call us to do garage door repair, rest assured that our techs can fix all sorts of problems with any part. And we are always prepared to replace parts, including the opener. Rely on our quick arrival should there is an emergency with the springs or opener. And don’t forget that with annual preventive services, you will never have problems with the door and thus your safety. Why trust our Stouffville garage door service provider to help you out? Because we are trained and thus great in what we do and care to provide the best service. Every time. Call us.